The main beneficiaries of all cancer funds raised are KIDZCAN Childhood Cancer Services, who work tirelessly with child cancer patients, their parents and communities. 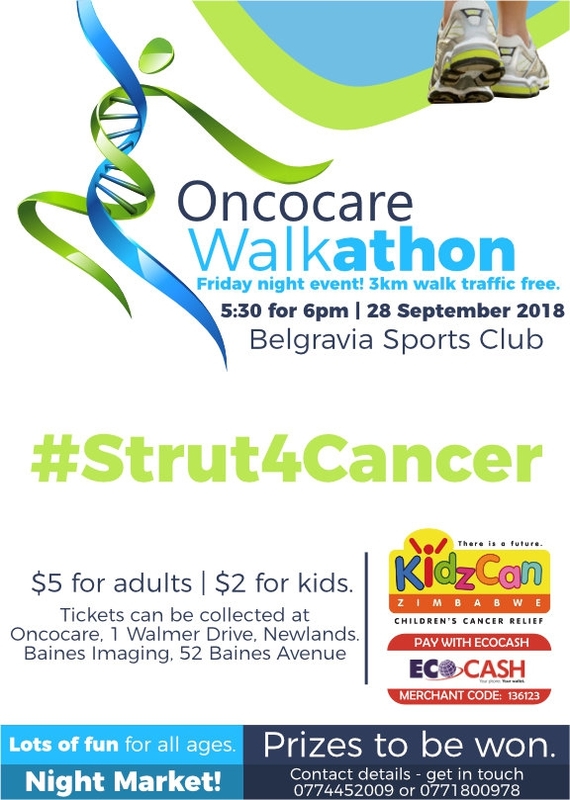 Raised funds will also be channelled towards achieving better successes where clinical outcomes for cancer treatment, cancer outreaches, advocacy and screening is concerned. We are kindly asking you to please spread the word for companies, groups, individuals, everyone and anyone to join in and contribute in any way either by way of donations, sponsorship in kind, selling of tickets, buying tickets and obviously coming to walk with us on the night! !